We’re digging into body image and fertility. 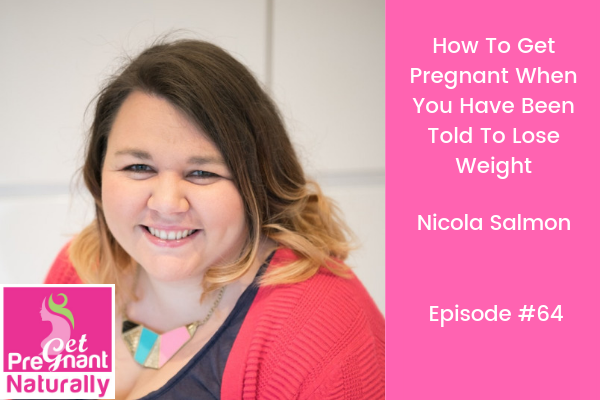 Nicola is a fat-positive and feminist fertility coach. She helps women who are overweight and struggling to get pregnant find peace with their body, find their own version of health and finally escape the yo-yo dieting cycle. Have you been told to lose weight to get pregnant…either to get pregnant naturally or for an IUI or IVF? Of course if you could…you would snap your fingers and lose the weight…but it’s not that easy. I wanted to bring our next guest on the podcast to open up the conversation about weight and fertility. Once we stop the body shaming and start to flip the script…positive change begins to happen. 1) What the statistics tell us for pregnancy – why this only compounds the problems for someone struggling to lose weight. 2) How to flip the script and stop fat shaming. 4) How we can prepare our body for a baby – specific steps to take for preconception health (hint – it’s not about dieting).